As soon as I received this book, I dug into it. I liked the layout, read the authors' introductory words and skimmed through the table of contents to see what topics this book contained. I immediately liked what I saw and read. I'm careful about what I read when it comes to advice about living the best life simply because I'm a Bible reader and I think the best advice is found within its holy pages. I was pleased to see that this book gave sound advice that for the most part did not contradict what I believe but rather sustained it. Kudos to the authors. Past Tense is an easy book to read because it's meant to be read one page for every day of the year. Perhaps in the morning so that the reader can meditate on the information. The book is divided into 24 sections with topics below each section. It does not have to be read in order but rather you can go to the exact page of the topic that interests you because the Table of Contents lists them all. For example, in Section 2: Stress Handling Tools, I went to Stop Black-and-White Thinking, and then in Section 7: Family and Stress, I quickly zeroed in on Ten Tips on Raising Children. Below I have listed the Sections that cover almost every topic in life. 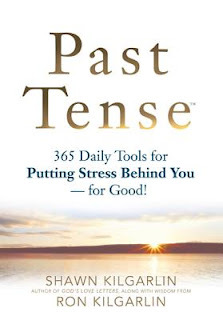 This is an ambitious book that handles 365 topics as daily tools for putting stress behind us. Of course, some of the advice we've heard before, but they are great reminders and are discussed in a brief but well-written page, making it easy to digest and to pick up anytime for a 5-minute reading of positive, educational and upbuilding information. You will definitely find new information you can apply and benefit from. As you can see, it gives advice on topics for every member of the family. My daughter is starting high school next year and I'm going to read Sections 12 and 13 with her. The authors also include many resources, website links and inspiring quotes throughout their pages, and there's also a resource guide at the end of the book. 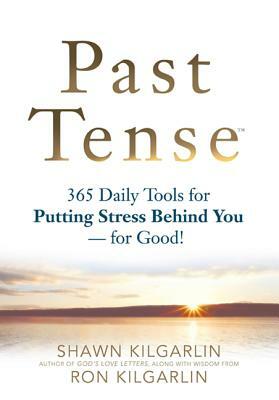 Past Tense can be considered a resource manual that can be left on the coffee table or handy on the kitchen counter or bedside table for a daily look at quick but powerful tools to handling everyday stressors. Disclosure: Thanks to the publishers and Pump Up Your Book Promotions for sending me this book for review. I was not compensated in any other way, nor told how to rate or review this product.